All transactions are processed through Red Stag Casino Dollars ($). Deposit and withdraw with simplicity and security. Red Stag Casino employs the most reliable methods for transferring funds in and out of your casino account. All transactions are encrypted with the latest technology providing the highest standards of security. If you would like to play for real money, please review Red Stag Casino's list of deposit options below. per transaction Instant approval as long as you have a funded Moneybookers account. Fund your Moneybookers account by bank transfer. Only available to players outside of the United States. per transaction Neteller is an e-wallet and offers secure online transactions world-wide. Only available to players outside of the United States. per transaction Instant approval from your Sofort e-wallet account. Only available to players outside of the United States. per transaction Instant approval from your PaySafe e-wallet account. Only available to players outside of the United States. Red Stag Casino offers a number of fast and reliable options to get you your cash sooner. To make a withdrawal from your account, click the 'Withdrawal' button in the casino cashier and follow the instructions on the screen. The various withdrawal methods available to you are listed below. Each method is safe and secure. Red Stag Casino's Payout department operates from Monday to Friday. per week Approximately 2 business days. Funds will be sent directly to your Skrill/Moneybookers account. Only available to players outside of the United States. per week Approximately 2 business days. Funds will be sent directly to your Neteller account. Only available to players outside of the United States. You are able to withdraw your winnings through various banking options listed in the casino cashier. Withdrawals are processed within up to 72 business hours. Checks will not be delivered to a P.O. Box. Red Stag Casino does not have the ability to send winnings back to credit cards used to deposit. Due to restrictions imposed upon the Casino by Visa International, Red Stag Casino can no longer process any portion of any withdrawal to a Visa credit card including the players' original deposits made by Visa credit cards. Please complete the 'Credit Card Authorization Form' the authorization form required to process your withdrawal. Prior to your first withdrawal at the casino, Red Stag Casino may request security documentation to verify the authenticity of the credit card information and the player account. This is needed to maintain the utmost standards of security and player protection. 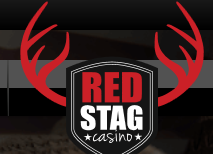 Red Stag Casino reserves the right to delay and/or stop the processing of any withdrawal request until any outstanding deposit transactions have been cleared by the processor used. Players who deposit with credit card can withdraw by any method listed in the cashier. Players who do not deposit by credit card may withdraw with the method they used to deposit. Please be aware that before the first withdrawal there needs to be at least one deposit with the chosen withdrawal method. This is to verify your account information. To ensure fluidity and prompt payment to all players alike, there is a weekly withdrawal limit of $2,000 for your first withdrawal and thereafter $2,000 per week. Should you win $10,000 Red Stag Casino will issue a payment of $2,000 on the first week, then $2,000 on the second and so on, until the entire amount is paid out.